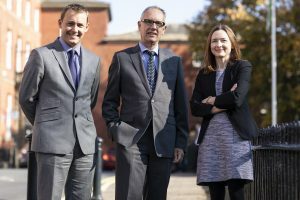 Pannone Corporate has announced six promotions, including three to associate partner, as it continues to grow its Manchester office. Regulatory lawyer Rhian Greaves, who joined the firm earlier this year from Clyde & Co, has been promoted from director to associate partner. Joining Rhian as newly-promoted associate partners are Garry King, who joined Pannone Corporate’s real estate team last year from Shoosmiths, and Daniel Clarke, in the restructuring team. 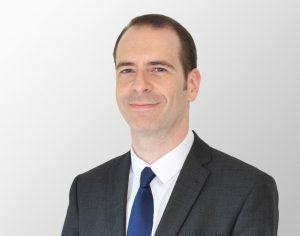 Those promoted to director include Gareth Birch in real estate, Stephen Mutch in employment, and Jonny Scholes in the dispute resolution team. Managing partner Paul Jonson said: “As our client base continues to grow, it is essential we have the right people in place to service their needs. “We invest heavily in our staff and are proud to have achieved Investors in People Gold Standard. Manchester-based full-service commercial law firm, HRC Law, has further strengthened its commercial department with the appointment of Rob Eakins. Rob joins the firm as a solicitor, bringing with him experience across a range of commercial matters with a particular focus on contracts. As a former creative industries business adviser, project manager and owner of a music business, his frequent dealings with commercial contracts sparked an interest in law. Having retrained in law, Rob joins HRC Law from JMW Solicitors. Rob said: “The fact that I spent my early career as a business owner allows me to benefit from a unique level of first-hand experience and knowledge in terms of the challenges entrepreneurs face in building and growing a successful business. HRC have had a real need for further, dedicated support in light of their expanding client base and successes in the fashion and e-comms industries – with clients including Domu, Nicce and Slydes – as well as continuing to provide specialist advice to the recruitment and retail sectors. This latest hire follows the recent appointment of Paul Kirkpatrick as partner in HRC Law’s commercial dispute department. Now in its fifth year of business, Rob takes the firm’s headcount to 27 – its ninth appointment of 2018. Vincents Solicitors has recruited a new corporate team as part of its growth plan. Matthew Scott will head Preston-based Vincents’ corporate law department, following a move from Coupe Bradbury where he spent 11 years. Matthew brings with him trainee solicitor Debbie Carr, who is set to qualify early next year, along with a raft of clients. Their arrival boosts the growing commercial department which is flourishing under the leadership of commercial director Ross Wellman. With more than 200 acquisitions and disposals under his belt, Matthew is ideally placed to advise business owners when it comes time to sell. He is also retained by numerous firms to assist with re-financing, securitisation, restructuring, lease and tenancy, and has worked with major operators, investors and pension funds. His move to Vincents will allow him to expand his client base and bridge a crucial gap for businesses within the county. He said: “Businesses often feel they have to choose between a high street solicitor, who may not have the specialist expertise needed, or a large city centre corporate. “What I can offer here at Vincents are the skills and capacity to provide that top level service, alongside the convenience of high street locations and the customer service of a community-based business. “I have clients across the country for whom location doesn’t matter, and others who prefer to pop in regularly during the transaction. A specialist area for Matthew is in the sale and acquisition of nurseries and care homes. “He added: “There are complexities in every transaction, but there is an extra layer in the case of these highly-regulated businesses. Ross Wellman, Vincents’ commercial director, said Matthew and his team are a key part of the firm’s future growth. He said: “Matthew has an impressive track record and is already bringing in significant new business. He is an extremely experienced solicitor in his specialist field and will be a great asset to our existing clients, particularly those seeking a sale or acquisition. 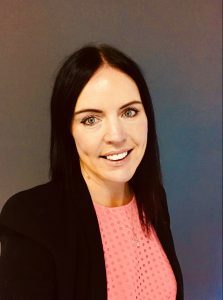 The Lawrence Hotel in Burnley has welcomed Jill Bollard to the team this week, as she takes on a new role in business development for the independent hotel. Jill, from North Manchester, has a rich history working in hotels across Manchester, including launching the Park Inn by Radisson, as well as taking on key roles at Rosetti Hotel, now Abode, and Malmaison. Having previously worked as multi-property director at the Marriott Hotel for two years, she left in 2016 to work with smaller, independent businesses to help budding brands to drive awareness, and attract a new/corporate clientele. The Lawrence Hotel is set to be an exciting new venture for Jill as she takes on the role of business development manager, working to grow the hotel’s clientele in the North and further afield. Ms Bollard, who has also been working with The Studio in the Northern Quarter since January 2017, is looking forward to working closely with the new Burnley site, and building strong networks with other businesses in the area. The Padiham hotel owned by Michael Huckerby, boasts 14 design-led bedrooms spread over the main house and the old stables. It also features an honesty bar, three function and conference rooms and an outside courtyard. Jill said: “I have a long background in working in hotels and hospitality but an independent, boutique hotel is a first for me. 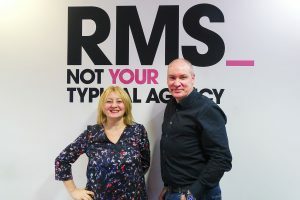 Altrincham-based PR and marketing agency RMS has appointed a new managing director to drive business growth. With fewer administrative and operational responsibilities, Ruth is looking forward to spending more time developing creative campaigns for clients and RMS itself. She said: “After a long time at the sharp end, I feel the time is right to step away from the MD role and bring in a fresh brain to steer us through the next phase. “The calibre of candidates for the role was astounding, but Mike deserved it because of his unique mix of skills and clear appetite for doing great things. “As well as a strong commercial head and hunger for new business development, he has exemplary strategic and digital marketing expertise, and a track record for developing and mentoring strong, happy teams. Kirwan left his position as commercial director at pioneering digital agency Latitude after 11 years but has always had a hankering to play a pivotal role in growing another agency. He said: “This is a gilt-edged opportunity. RMS is a fantastic agency – stable and respected. I’m looking forward to building on its excellent reputation and foundations.